Avocat au Barreau de Paris and Avvocato in Milan, Andrea Campilungo works in the Litigation & Mediation, Arbitration, Restructuring, Competition Law & EU Law, and Corporate & Commercial fields. Thanks to his dual professional education, he defends companies before the French and Italian courts. 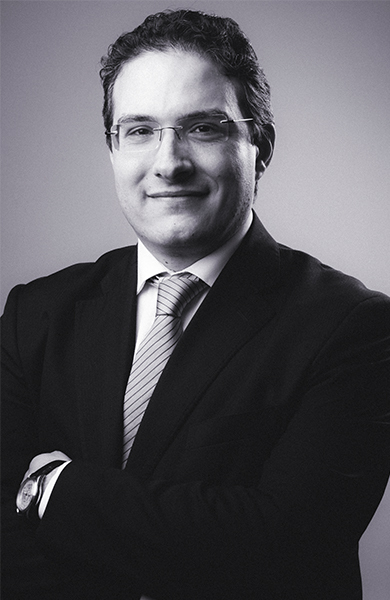 Andrea Campilungo joined CastaldiPartners in 2011. He gained significant experience in international commercial litigation, regularly advising in relation to Italian and French court proceedings, including on restructuring. In a broad and strategic vision of conflict management, he also deals with mediation and arbitration. He is engaged in the development of CastaldiPartners’ Competition Law & EU Law activity. His working languages are French, English and Italian. Defending an Italian oil & gas infrastructure company in litigation before the Italian and French courts. Assisting the insolvency proceeding bodies of an Italian oil & gas infrastructure company in the conclusion of a settlement agreement with a French construction group. Assisting the bodies of an Italian extraordinary administration procedure in the sale of a French subsidiary, which was itself involved in independent insolvency proceedings in France. Assisting a French receiver in initiating secondary insolvency proceedings at the Court of Milan. Defending the Italian subsidiary of a French construction group in litigation for defects in workmanship in Italy. Assisting an Italian interior design company in a mediation procedure in France. Defending the Italian subsidiary of a French construction group in arbitration before the Milan Chamber of Arbitration. Assisting a French hospitality multinational company in the sale of a resort and the opening of a new facility in Italy. Assisting an Italian receiver in court proceedings in the Principality of Monaco. Assisting an Italian interior design company in various projects concerning the concept of shops of the main luxury brands. Defending the French subsidiary of a Swiss industrial group in court proceedings in Italy. Conference Residenti italiani detentori di immobili in Francia, organized by Foncia; Menton, 5 July 2014. Whistleblowing, legal privilege e indagini interne entro un programma di compliance antitrust; ASLA - Associazione Studi Legali Associati - I quaderni del Gruppo ASLA di Corporate Compliance - Round Tables 2016. Responsabilité pénale des personnes morales : la Cour de cassation italienne durcit sa jurisprudence; La Semaine Juridique Entreprise et Affaires No. 28-29, 10 July 2014, 1382. Young Arbitrators Forum Report - The 2012 ICC Rules, one year after: taking stock; 5 April 2013.